BOTOX ® Cosmetic is an FDA approved prescription medicine, and is an injectable wrinkle treatment that is able to improve dynamic wrinkles safely and effectively. After it's approval from FDA over ten years ago, BOTOX®Cosmetic has been the number-one physician-administered aesthetic procedure in the United States. What areas can be treated with BOTOX ® Injections? BOTOX ® wrinkle treatment injections can be used to treat dynamic wrinkles like crow's feet, worry lines between the eyebrows and laugh lines. How does BOTOX ® Cosmetic Wrinkle Treatment work? Dynamic facial Wrinkles result from over expression of the facial muscles. BOTOX ® injections are used to safely improve the appearance of crow's feet, worry lines and laugh lines. BOTOX ® injections work by blocking the nerve impulses and temporarily paralyzing the muscles responsible for wrinkles. BOTOX ® Injections are gently injected into the particular facial muscle, with a micro-needle, in order to temporarily relax and smooth out your facial muscle, and to significantly improve of fine lines and superficial wrinkles in the area of your treatment. Patients report very little pain or discomfort associated with BOTOX ® injections due to the small size of the micro-needle. The result of Botox treatment lasts anywhere between 3-4 months. Additionally, continued BOTOX ® treatment is an effective preventive wrinkle treatment as your facial muscles spasm will be greatly reduced and your wrinkles will become less and less noticeable. Are there any limitations to what BOTOX ® Injections can achieve? Though BOTOX ® wrinkle treatment can effectively treat expression lines, it will not improve sagging skin resulting from age. What are risks and complications involved with BOTOX ® treatment? As rare but possible side effects, BOTOX ® may cause temporary headaches, bruising, diplopia, and temporary eyelid ptosis. Pregnant and nursing woman should not get Botox. Individuals with Pre-existing Neuromuscular Disorders (eg, myasthenia gravis or Lambert-Eaton syndrome) may not get Botox. BOTOX® Cosmetic is contraindicated in individuals with known hypersensitivity to any botulinum toxin preparation or to any of the components in the formulation. Be sure to disclose any and all pre-existing medical conditions and all medications (such as antibiotics) you may be currently taking before undergoing any treatment. Can you get Botulism infection from Botox Cosmetic injections? No. In order to get botulism, you must be infected with the bacterium that produces the toxin. 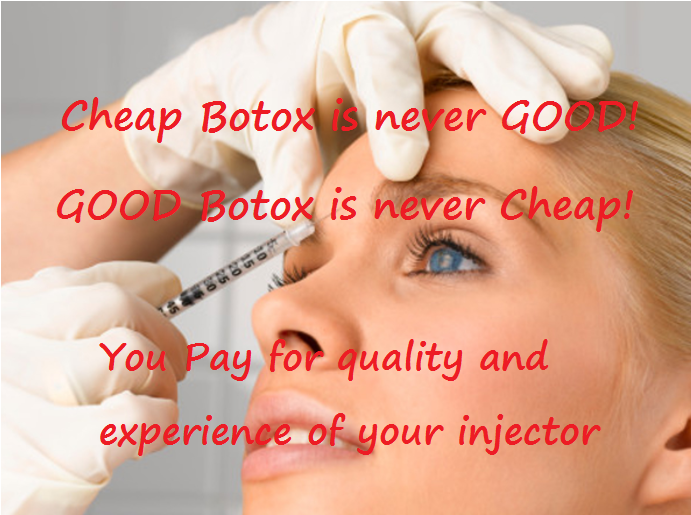 Botox Cosmetic is composed or purified toxin and does not contain the bacteria. FDA cannot ensure the safety and effectiveness of products that are not FDA-approved and come from unknown sources and foreign locations, or that may not have been manufactured under proper conditions. These unknowns put patient’s health at risk if they cannot be sure of the products identity, purity, and source. For these reasons, FDA recommends only obtaining medicines from legal sources in the U.S.
***Medrevive optains and uses only FDA approved products from Allergan / USA resources. We DO NOT put our patient’s health on Risk by using cheap products.